Chandigarh : Cycling community of Tricity with a Sports of Cycling as Ride regular & off road tour & experience. 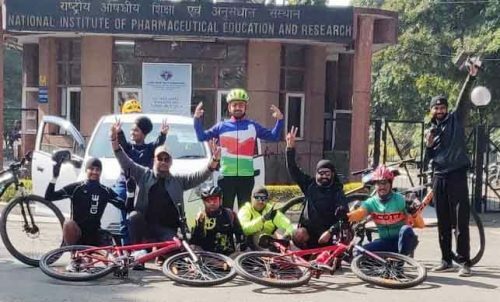 As a team they celebrated 70th Republic Day to educate the cycling & a Eco saving message to society . 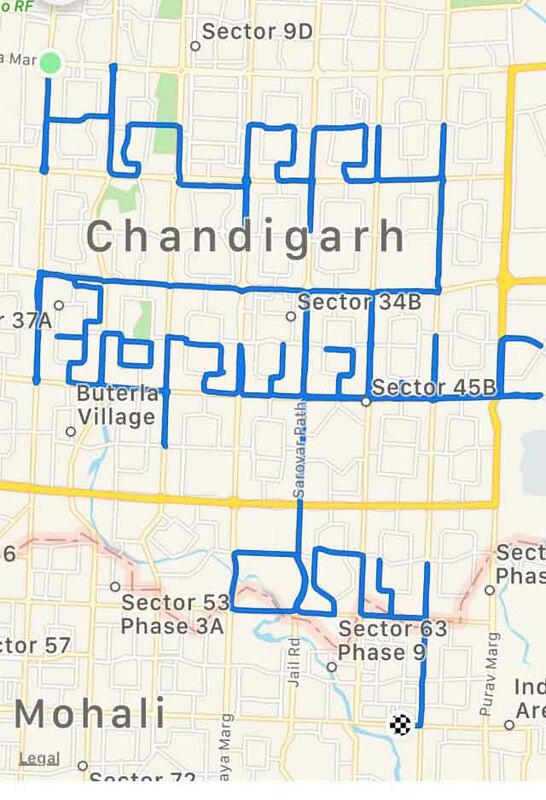 They make Patter on Happy Republic Day on tricity road , All cycling in the attempt are Educated with cycling knowledge & have a passion for Society new education to save environment . The Cyclist involved in attempt are attached below. The Motive of the team was Republic Day celebrations mark India’s transition to an Independent and democratic Republic having its own rule of governance i.e. Swaraj or Self Rule. The day reiterates the importance of having self rule for a nation in order to develop and prosper with peace and harmony. It reminds us that without having our own Constitution we would just be a bunch of small or big kingdoms or colonies fighting over trivial issues. Constitution is the fabric that binds India and its people beyond the demographic lines of religion, caste, creed, ethnicity or language and it is the inception of this Constitution that we celebrate on Republic Day. Republic Day celebrations also inform the world about India’s rich cultural heritage and the unity and integrity of its people. With the display of her military power in the celebrations, India assures her friends and warns her foes. we pattern riders thought of paying tribute to our nation and to the bravehearts of this soil who fought and led this lives so that our nation can live in peace and prosperity. On the eve of 70th republic day we are here to spread a message that, this is our country and we are responsible for its development and prosperity so come INDIA lets go green and contribute a little and spread a clean and healthy means of transportation. Those soldiers who protects our borders are real heros,if you can contribute a little for internal cleansing and give their and our families a pollution free environment to live in will be the real tribute for their sacrifice.